Professional, Reliable, Conscientious & Trustworthy Tradespeople! We are a local landscaping Company based between Woodbridge and Stowmarket in Suffolk, providing a wide range of landscaping services throughout Suffolk. We cover all aspects of landscaping ranging from repair and maintenance to a complete design and installation service. You will find us reliable, conscientious and trustworthy, paying great thought to detail in everything we undertake. We only work at one premises at a time, so you can be assured of our undivided attention. We have excellent experience across many different areas of landscaping, design and maintenance. 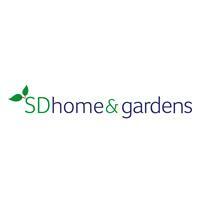 Over the years, SD Home and Gardens has undertaken a wide range of work, which range from private clients to commercial and industrial work. We can offer you a great range of services and features to help you achieve the perfect design for your property, whether you require a classic or contemporary style. As always, we provide a professional service from start through to completion of the project whatever your requirements we are here for you. The company is based around you the customer from the quote stage to final completion. We as a team are very proud in what we do, our reputation continues to grow as we provide a personal service to all our clients.